When looking for a job or interviewing for a job, it’s important to update your resume. In the digital age, it is also just as important to update LinkedIn because it’s one of the first places HR professionals and hiring managers look at. Before looking for a job, it’s important to have an updated Linkedin profile but updating it all at once may occur questions from people in your network and most importantly, people at your current job. To alleviate this problem, update your profile throughout the year. This will ensure that when you decide to look for a new job, your profile is 100% accurate and will not draw any red flags from your currently co-workers or managers. If you update your profile when promotions happen, a new skill is learned, you were awarded for something or a new certification, this will show the online community that you are always improving and learning and it means that you won’t forget about important information or achievements when updating in a hurry. Keeping your online profile up-to-date also will help head hunters or recruiters looking for possible candidates find you. If your profile is current, it could mean that you will get an interview without even trying if you match what they are looking for. If you are going on an interview, be aware how to look and dress if you decide to interview before or after work. Wearing out of character clothing is a tall tale sign that you may be interviewing. If you usually wear jeans and a t-shirt to work and one day you show up in a suit or dress, people might start asking questions or talking. How many times have you heard people joking “Oh, why are you so dressed up? Are you interviewing.” Even if you are not interviewing, there is still that stigma that something may be going on. You don’t want your current employer to have any questions about your loyalty. Instead, bring a change of clothing with you and wear what you would normally wear to work. Change before your interview or after your interview to go back to you. Also, make sure to change somewhere besides your office so people don’t know that you may be interviewing. Another way to handle interviewing is to do the interviews, if possible, outside of normal working hours. Maybe before work or after work if the company interviewing allows it. One of the worst things do is write on social media that you are looking for a job or that you are interviewing. If you are friends on social media with any of your coworkers, they may talk to other people at work. This can cause issues with your current employer. The best way is to stay off social media completely when it comes to job searches. While interviewing, it is also important to let the people you are interviewing with know that you are trying to keep your job search or interview private. This helps if the person you are interviewing with knows someone at your company. It is a small world when it comes to who knows who in a specific field in a city so to be upfront in the beginning that you would like to keep it on the down-low is important. When searching for a job or applying for a job, stay away from work property. This includes using your work computer to search for a job, taking interviews at work and updating your resume during work hours. The best rule is to look or apply for a new job at home on your own time. Keep the job search apart from your currently employer. When asking for references, don’t ask people from your currently employer. Ask people that do not currently work with but can still represent your character. As always, ask references if you could use them as a reference before placing them down as a reference. If you do get hired and decide to leave your current job, be mindful of the relationship with your currently employer. The worst thing to do is to seem disinterested, or not engaged with your current employer. Give enough notice, standard time is two weeks, and make sure you do as much as you can to ease the transition that you are leaving. You don’t want to leave a bad impression because you never know when you will be working with someone from your previous employer or you may decide to return in the future. 6.) Why Job hunt while employed? There are many reasons why you should look for employment when you are already employed. • You get a better understanding of what skills you need to build when looking for what other employers are looking for. • It gives you better leverage when negotiating salary, time off or benefits if you are already employed because you have nothing to lose if you don’t like what they are offering. • Interview skills. 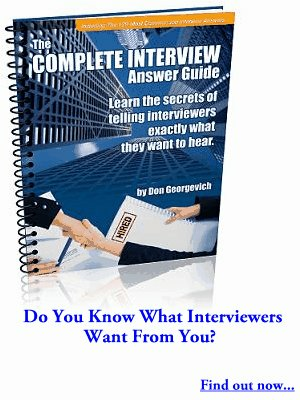 The more interviews you go on, the better you get at interviewing. Job searching is a tedious process and doing it while employed is even harder. Staying true to yourself and following these simple tips can help you succeed in your job search.